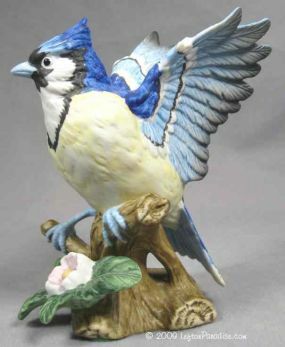 Blue Jay figurine - 1265 Discounts Apply ! Figurine of a blue jay alighting on a flowering branch. This figurine is 4 inches tall and is marked 1265 with a crown logo and Lefton/Taiwan sticker. It has no flaws.